Container gardening has given a new meaning to the entire concept of gardening. It’s the perfect solution to manage your landscaping needs. Garden pots and planters offer an enormous amount of visual interest in both residential and business spaces. Landscape design ideas are usually hard to come by when you do container gardening. Anything that can be grown in soil can be raised in a container, and as long as it has some drainage and is wider at the top than at the bottom, any vessel that will hold compost and take regular watering can be pressed into service. Gardening in containers is a convenient way to add splashes of color and natural beauty to your environment. To get you started, here are popular landscape design ideas just for you! In public buildings, there are often small areas that constantly fill up with trash, even though a trash receptacle is steps away. Why is this so? Because these areas don’t have any purpose. These little spaces are everywhere. However, designing these spaces with gardening containers tells the public that the space is valuable and contributes to the building’s friendly demeanor. Whether it’s in a small reception area, or a hospital waiting room, a simple and tidy plant grouping welcomes the visitor and fills the space with a sunny disposition. With a landscape architect’s sensitive eye for detail, a variety of design concepts with planting pots can be implemented. Hedvig Murray, UK permaculture designer and educator, shares that a great way to fill empty spaces is to map it out first. Take photos at different times of day to discover how the sun varies across your space. Observing and interacting and can lead to a great outcome. It would even be a nice surprise to find plants in a public rest room. It might help to alleviate the smell of disinfectant or possibly diminish the overbearing aroma of an air freshener. Many companies have chosen to take on a near futuristic look in their office décor. Pots and planters need to be able to fit right in. When using planters to create the modern office, these characteristics should help you choose for that environment. This rule goes for exterior planters as well as indoor planters. Choosing planters that have unique but simple shapes rooted in geometry can help to advance the image of the modern office. Most offices have some sort of colour scheme throughout. Usually, it’s mainly white or black with splashes of vibrant colour. It’s up to you whether you want the planter to blend in with the colour scheme, accent it, or make it pop out. When utilising planters as the bright colour, keep the shape very simple and geometric, without any frills, and keep the plants inside of them plain. Ferns are a good option for bright coloured planters. The material of the planter depends entirely upon the office environment to which it belongs. Keep the material either natural in tone, metallic, or sleek. Many modern offices have wood as a decorative accent. Being able to use those natural properties to the overall design, is a great way to ensure that the planters fit their environment aesthetically. The modern office is not built for overly embellished appearances, so keeping the material and texture sleek and simple is the best way to go. When choosing your pot, as a rule it’s better to stick to just one or two different materials. Gardeners’ World UK recommends to take your cue from the style of the surrounding. Red brick buildings are enhanced by terracotta containers, while a modern plot is the best backdrop for galvanised metal pots. Just because the potted plant is small does not mean that the pot itself can’t be artistic. The arrangement of these pots can be the main attraction. You just have to do the right style of arrangement to create the desired effect. “An eclectic group of small containers to create a quirky, ever-changing corner. Repetition can be effective, and garden designers will often use three or more identical containers planted with the same plants for maximum impact,” according to Gardeners’ World. Potted plants can add depth to any room or outdoor area if you create and demarcate levels. Use a few, small potted plants to line the porch railing, adorn the top of your refrigerator, or even use in the place of candles on a wall sconce. It should not look as though a row of jars or pots were set up; instead, it should be artistic, preferably with plants that flow over the edge and almost hide most of the pot itself. Many old instruments can be repurposed as planters. If you have an antique fiddle or an old trumpet, might as well put them to new use. It can add class and charm as well as a unique appearance to the room or outdoor area. Hang the fiddle on the wall, fill the center, or hollow, part with soil, and insert a small potted plant, guiding the vines and leaves through the strings for artistic effect. Using potted plants as centerpieces is a great way to add some design and style to the outside or inside of a home. The dining area should not be overly burdened with large pots and plants that take over the entire table. However, a few, small, well-appointed plants can provide an attractive location for visitors to sit, eat, and chat. When arranging with potted plants, one of the biggest mistakes people make is to line them all up. It’s a recipe for a cluttered appearance and a rather boring aesthetic. Instead, try clustering a few plants here and there in a triangular form. You can place either two slightly taller ones at the back, or a small one in front, or vice versa. An arrangement that consists of various sizes of pots, types of plants, and location, in other words not in a straight line, will provide the best results. Outdoor dining is one of the most pleasurable dining experiences one can have. Planters play a large role in this environment as outdoor dining areas frequently utilise planters as design additions. Different garden types affect our emotions in very different ways. Colour, shape, fragrance, layout, repetition and maintenance all influence the mood of a garden and impact the way we feel as we spend time in them. If you’re trying to match planters to the outdoor aesthetic of a restaurant, or are creating your own outdoor dining experience at home, the following suggestions can help you create the mood. For a festive and fun outdoor dining area, light coloured, nature-inspired tones are perfect. White, green, and blue are all attractive choices depending on the surrounding colours and themes. Pine and oak make inviting wood choices for outdoor entertainment, as they are both light and crisp. Think of a cabana, a day at the beach, or a tiki hut. Keep the focus on nature and the daylight aspects of it. Soft, warm tones such as champagne and sand colours are great for the romantic outdoor setting. The shape of the planters should be elegant, inviting, and smooth. Stucco, clay, and wrought iron materials, are great choices to convey the mood. Ruth Rogers Clausen, a horticulturist trained in England, suggests filling your planter with shades of pink. Godetia, Verbena ‘Babylon Purple’, and Snapdragon are great options. For a more elegant look, combine a soft pink color scheme and petal-filled flowers of a tree rose. Greek and Italian restaurants have exquisite taste when it comes to putting together an outdoor environment. They use taller, water jug-like planters in distressed stone and clay, to compliment this theme. Whitewashed stone, with ornate designs and symmetrical, detailed pieces will blend beautifully. Try faux paint techniques or go for the distressed look, which creates an elegantly-aged appearance for effect. If the appearance is that of something found in an ancient relic, you’re on the right track for creating the Mediterranean look. When you have had enough experience with handling simple container planting arrangements, start aiming for more complex designs. Mix and match colours and textures to create elegant combinations of plants to make your planters stand out. Plants usually grow broad, trailing or upright. An exotic container garden should be planned with all the three types of plants. Consider the plants’ optimum growth and habits before deciding upon a combination. Plant a couple of varieties from each category, and your final product will be extremely artistic. Remember the trick ‘thrillers, fillers, spillers’. Thrillers are the stand-out plants. Fillers are used to fill in the container, and spillers are the trailing plants. BBC Garden writer Martyn Cox shares some tips from her book, Grow Plants in Pots. Tall and slender plant containers will fit nicely into tight or small spaces. Use upright plants to add height and shorter colorful annuals around the edges to spill over making a skirt around the container. Keeping in mind the ideal conditions for each plant is very important. If you place heat-loving plants in a shady area of your house, their growth will not be optimum, so their effect will not be as you planned it to be. When you group different varieties in a pot, make sure they thrive in similar conditions. If you end up grouping plants of contrasting nature together, some of them will bloom while others will wilt and die. “Check the labels. It’s no good planting a shade lover next to a sun worshiper, or adding a plant that overpowers the rest. 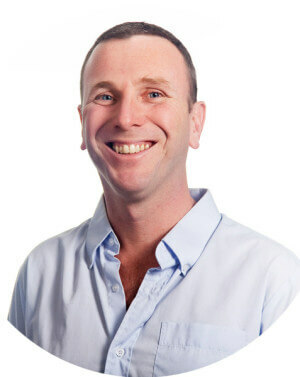 Put the right plant in the right place,” explains container gardener, Matt Biggs. Make your pots speak volumes about your personal style. Combine bold colours to have an out-of-the-box look for your container garden. Create a stunning looking blend of various shades of a colour or mix colours that complement each other. Textures of leaves range from waxy to prickly; you can also find some which are nice and shiny as silk or others that are velvety. Bring together your choice of textures to create an amazing look for your pots and planters. Combine fine and coarse textured leaves and flowers to create an extraordinary blend. Careful selection and arrangement of all these textures can create a dramatic look for your garden pot. Be it a home, a hotel, or a restaurant, no building is complete without a walkway. The walkway is what guides the visitor in, and welcomes them to the building. It provides the impression of what the establishment represents, and the overall atmosphere. Using planters to create a walkway or to embellish it is often the perfect choice. Here are different ways to use garden planters as a welcoming way to lead people into home or business. This technique believes that however you would find plants arranged in nature, is how you should lay out the planter design. Natural materials like clay, stone, rock, and wood are the best options. Because of their neutral theme, they will blend into the background, allowing the flowers to be the main attraction. However, they will still add to the overall ambiance instead of being a drawback. The artistic approach treats each planter as a work of art, and the planter should reflect this. A balance between overbearing planters and invisible planters must be struck. The aim is to make guests notice the planters and think “how interesting”. Simple, but unique shapes can provide this look. 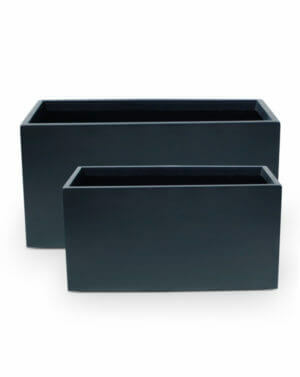 You can also have a few planters in an accent colour that matches the rest of the building in tone and theme. The layout itself can be artistic as well, or shaped into elaborate patterns with intertwining walkways. One of the most classic and effective ways to create a walkway with planters is to use a uniform design on either side. It’s creating the perfect symmetry. Larger planters are likely the best choice, as several, small planters can become cluttered in many instances. Round planters are always a good option, particularly if you choose to use larger planters. The round shape is softer and more inviting than harsh, geometrical shapes and corners. Pools are, in and of themselves, some of the most relaxing places on Earth. Keeping this in mind, the landscape designer looking to add planters to the pool area has to aim for a few main goals. Container gardening expert, Kerry Michaels, reminds to make sure you know how much sun an area gets before you buy your plants. Poolside landscape designs need plants that will thrive in container gardens in full sun. With the right container, you can make common, sun-loving plants look spectacular around your pool area. Some of the most popular picks include calibrachoa, verbena, bush violets, cape daisies, pentas, and petunias. Here are three of the main things a landscape artist must keep in mind when using planters to add ambiance to the pool area. A poolside without plants would be rather boring, but safety is still your top priority. Before choosing planters, survey the pool first. Is there a diving board? If so, where would someone likely fall after jumping off of the diving board? Where will kids likely be running? Answer these questions and you’ll have a better idea of how to design for the functional aspects of the pool area. Children run, and adults slip, so anywhere there is a path from one location to another in the pool area, there should not be large, abrasive, sharp objects, planters included. Once you’ve ensured the safety of all pool guests, consider the cohesiveness of that design. If the pool is done entirely in blue tile, for instance, black slate might be an odd choice for material. Make sure that the material and design of your planter or planters blends in perfectly to the existing aesthetic of the pool area. It’s okay to have the planter stand out in its own right, but it should not stand out as being completely different from everything else. Make sure that your choice of planters contributes to the positive and seamless aesthetic of the pool and surrounding area. 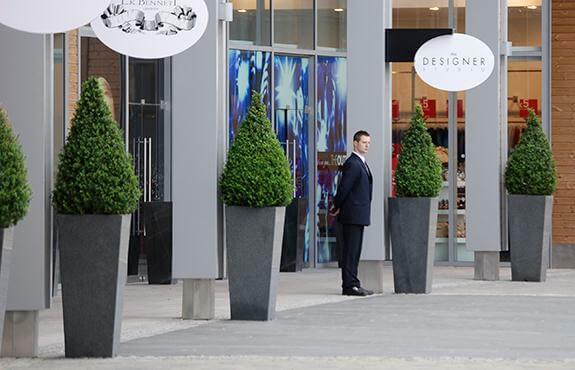 It has more to do with the pure look of the planters themselves instead of how they fit into the environment. You could have planters that match the surroundings perfectly, but if they’re oversized for the pool area, it can throw off the aesthetics. Start your Container Garden Landscape! Container planting is an amazing creative experience; make it more dramatic by mixing your own style to the conventional ways. There are many ways to use potted plants as decor, and many things that can be repurposed to be pots for those plants. You can start out with keeping the combinations of colours and textures simple. As you grow in experience you can start adding your signature style to your pots and plants. Look around to find small invitations for design. The results are well worth the effort.